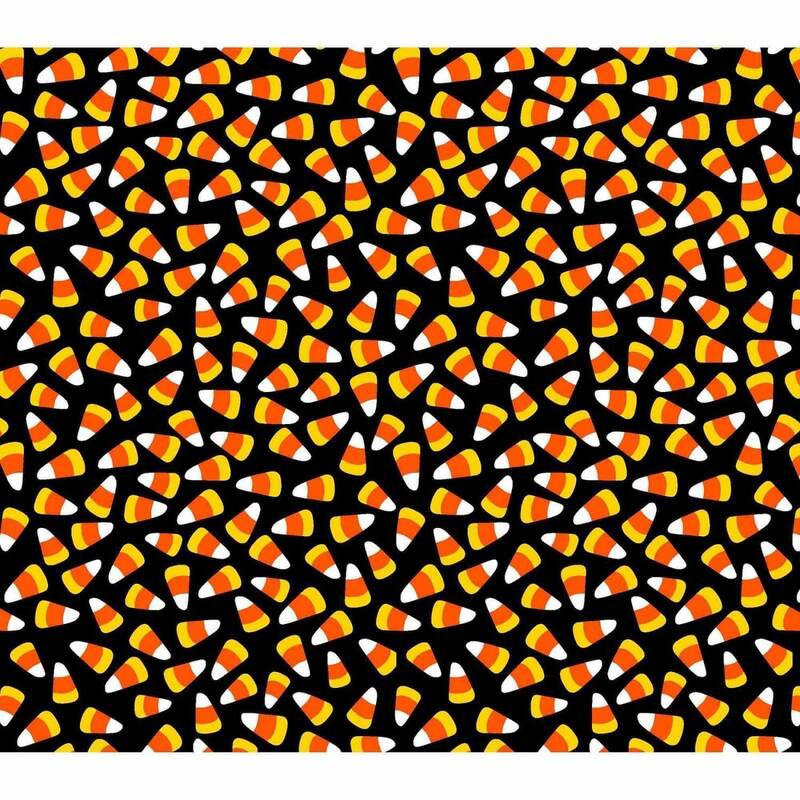 What a great addition this fun candy corn fabric will add to any Halloween or Thanksgiving quilt or table topper. A beautiful cotton quality cotton fabric displaying a black background with bright white, orange and yellow candy corn dancing across this fun fabric. Don't delay and start your Halloween decorating today! All fabric from The Quilted Nursery Children's Fabric Store is cut directly from the bolt and we now offer fractional quantity fabric cuts. All shipping overages are refunded upon shipment of fabric. The fabric was exactly as shown and it came quickly! Thank you! This fabric is so cute! Just in time for Halloween!